Mr. Jones has been singing all his life, he started at the early age of six in church and school choirs where he performed in many programs as a solo performer. As a young child he was selected to be a member of a select group of singers that toured Texas and surrounding areas. He was an Allstate Choir member of Texas for all of his four high school years and won 1st place in Solo/Ensemble Contest for all four of his high school years. Mr. Jones taught public school on all levels in his career and at one time directed five different performing choirs who won numerous awards at Choral and Sightreading Contests. Mr. Jones is a graduate of Howard Payne University located in Brownwood, Texas where he graduated with honors earing a B.M.E Degree with a voice concentrate. He studied with Dr. Bill Anders and went on to earn a Masters Degree in Vocal Performance at the University of Houston, studying with Dr. Stephen Harbachick. While at the University of Houston, he gave numerous classical recitals which encompassed all classical vocal genres and also musical theater genres. Mr. Jones was selected to sing with the Concert Chorale of Houston under the direction of Dr. David Wehr where he was principal tenor soloist for three years. He then was asked to be the Principal Tenor soloist with the Falcon singers of San Antonio where he was flown every weekend to and from Houston for rehearsals and performances. He sang with this group for two years and they performed all over Texas and San Antonio. Over a ten year period he performed with Casa Manana Theatre where he did musical equity roles in The Music Man, Oklahoma, Brigadoon, Westside Story, Grease, My Fair Lady, just to name a few. He also did minor compramario roles with Houston Grand Opera for three years doing Joe in Girl of the Golden West, Ruiz in Il Trovatore. He had the thrill and privilege to sing alongside the famous Joan Sutherland and Martina Arroyo. Mr. Jones also sang with Theatre Under the Stars where he worked with Frank Young and did Ciccio in Most Happy Fella and sang the opening to the show in Kismet with the famed Howard Keel. Mr. Keel encouraged him to go to New York and explore his singing options there. In 2001, Mr. Jones moved to St. Peters and opened a music teaching studio with Mr. Krueger. Together, they built a most viable and well respected music teaching studio offering private lessons in Piano, Guitar, Flute. Mr. Jones started a Showchoir while there and they performed all over the St. Peters, Ofallon, St. Louis area. 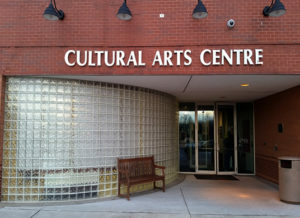 In 2010 the entire cultural arts center of St. Peters moved to the City Hall complex on Mexico Road and new studios were built and the name changed to St. Peters Performing Arts Studio. Private music lessons in Piano, Voice, Guitar, Violin/Viola, Saxophone are offered to all ages. Since 2002, the studio has been a member of the Mid-America Music Festival which is a competition in all instruments. Mr. Jones has had five Most Outstanding Young Performer winners which is the highest score in Musical Theatre Vocal Division. He also had the top Virtuoso winner in Classical Voice in 2007. In 2008 Mr. Krueger has the top Virtuoso winner in Classical Piano. Mr. Jones specializes in teaching solid vocal technique which works for all vocal styles, correct breathing, vocal placement, enunciation/diction, vocal expression, vocal articulation, intonation, ear training, characterization, stage performance techniques. He grooms students for musical careers and also District and State Solo/Ensemble Contests. He specializes in grooming high school students for B.F.A college programs in Musical Theater and also any Performance Music Degrees. His knowledge of the audition experience is invaluable for those seeking performance college programs. Mr. Jones is a member of NATS(National Association Teachers of Singing where he is in good standing. He has been active in this organization for three years and has been a judge for all three years. He had the first and third place winner in Musical Theater NATS Musical Theater Competition at Webster University in Fall of 2012 and had first and second place winners in High School Female and Male Division in Musical Theater in 2013. In 2014 he has two second place winners in Musical Theater Division. He also had the First and Fifth place winner in the Sing For Scholarship Competition sponsored by the Tidelanders, a female barbershop group in 2012 and in 2014 had the Fifth place winner in this competition, all winners winning substantial money prizes. Mr. Jones expertise as a vocal instructor encompasses all styles of singing and his expertise is grooming kids for district and state tryouts as well as those students wanting to pursue a B.F.A in Musical Theater. He has over forty years teaching experience with a Masters in Vocal Performance as well as extensive Performing experience in Musical Theater and also the vocal classical genres, having performed with Houston Grand Opera and TUTS and Casa Manana in Fort Worth, Texas doing equity musical theater for ten seasons. He also is a member of National Association Singing Teachers of America(NATS) and has had two first place winners in musical theater in 2013 and second and third place winners in 2014. He has had numerous Most Outstanding Music Theater winners at Mid America Music Festival since 2002. He is a strong technique teacher and his students go on to successful careers in the music field as performers and teachers. Mr. Krueger started playing piano at an early age in kindergarten where he played for his music class as a young child. He was very involved in music in his public school years playing in the band and also being a drum major for the band. He played saxophone and also formed a band when in Junior High and High School playing keyboards. Mr. Krueger also gave private piano lessons while in high school and won many honors at several competitions. He is a graduate of Southern Missouri State University in Springfield where he earned a B.A. in Piano Performance on full scholarship. Mr. Krueger was general manager of Eberhardt Music Stores from 1976 to 1992, managing eight stores. In 1990 to 2000 he opened Creative Music Studio where he taught till 2000. In 2001, Mr. Krueger opened the St. Peters Studio in collaboration with Mr. Jones who headed up the Vocal end of the studio. Together they have had a highly respected teaching studio till the present. 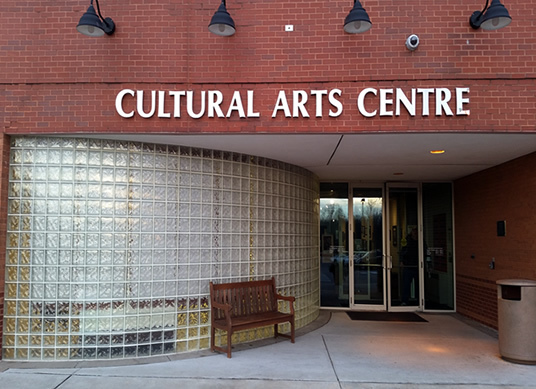 The studio moved with the Cultural Arts Center to its new location inside City Hall of St. Peters and is located on the second floor above the lobby area. Mr. Krueger has taught many successful piano students through the year from beginning to advanced levels. He teaches a one on one private lesson but also offers the Piano Lab which he created using his own Piano method called Piano Tabliture in which the student goes to three different areas for ten minutes in a thirty minute time frame learning different teaching methods. One is Traditional method, one is Piano Tabliture and one is the Computer Lab. This is more fully explained under the methods sections on the website. Mr. Krueger has many Virtuoso winners at the Mid-America Music Festival held every summer the last of July. In 2008 his student, Mr. Paul Lees won the top Virtuoso award with the highest score in Classical Piano. Many of his students have won trophies and awards in Piano since 2002 at the Mid America Music Festival. Mr. Krueger’s students really enjoy his style of teaching which is very laid back but structured, teaching scales and music theory and literature to all of his students. Markia has recently graduated from Lindenwood University with a Bachelor of Arts in Music. 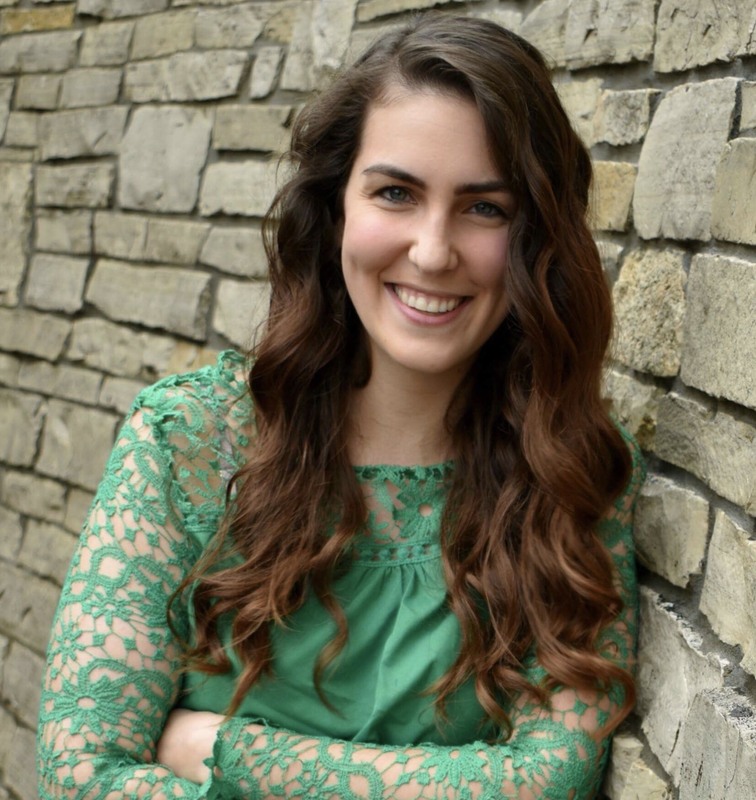 In addition, she has her Associate of Arts in Music from St. Charles Community College and studied Music Education for some time at Missouri Baptist University. Markia has been singing in choirs since elementary school and in high school she was involved in several auditioned choirs and vocal competitions. Throughout college, she gained experience participating in show choirs, select choirs and opera performances. Markia spent her last few years of school taking care of her two young sons and teaching private voice from her home. In addition to her vocal teaching career, Markia puts her musical talents to use as a performer with Forever a Princess. 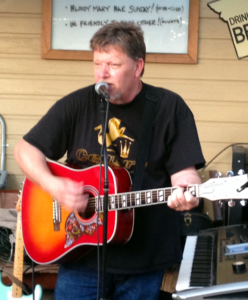 Professional musician and teacher from St.louis 40 plus years teaching and playing music. I have worked with pros from Reba Mcentire’s band and Lynard Skynard among others. I use a variety of teaching methods to help teach students different styles as well as their individual musical tastes. I work well with all ages and type people! Ready To Take The Next Step & Stand Out? Schedule Lessons Today! St. Peters Performing Arts Studio shared a post. St. Peters Performing Arts Studio is proud to announce that yesterday one of Mr. Jones voice students, Mr. Parker Miller, participated in the Mid Mo NATS Musical Theatre Competition in the High School Division and was awarded Second Place......there were many in his division and we are most proud of him! Also,yesterday Mr. Jones had two of his students, Mr. Rob Brown and Miss Emma Golovsen perform in their High School production of Drowsy Chaperone at Fort Zumwalt East. Rob Brown performed role of Robert and Emma was in Ensemble and also did role of apartment super. Most enjoyable show! Also Miss Kaylie O'Dell performed in Ensemble in Francis Howell North's production of ADDAMS FAMILY! CONGRATULATIONS TO THE ACCOMPLISHEMENTS OF THESE STUDENTS! 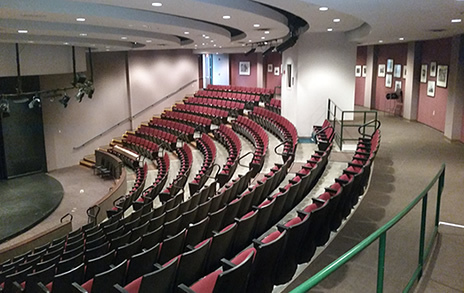 The St. Peters Performing Arts Studio is located on the second floor inside St. Peters City Hall lobby. There is parking on the west side as you look at city hall head on. Our music studios were built in an existing space on the second floor of city hall with six teaching studios and a 317 seat performing arts theater right next to the studio. © 2019 St Peters Performing Arts Studio. All Rights Reserved.